This building was constructed in 1975, featuring one bedroom units and a few studios. Diamond Head Sands has a total of 116 condo residences. One-bedroom units range in size from 519 to 537 square feet interior with lanais varying from 121 to 153 square feet. Studios have 353 to 371 square feet interior with lanais of approximately 50 square feet. Some owners have enclosed their lanais to increase the interior area of their residences. Diamond Head Sands is a walk up three-story condo. Maintenance fees are approximately $400 per month for one-bedroom residences. Amenities of the property include a swimming pool and community laundry. 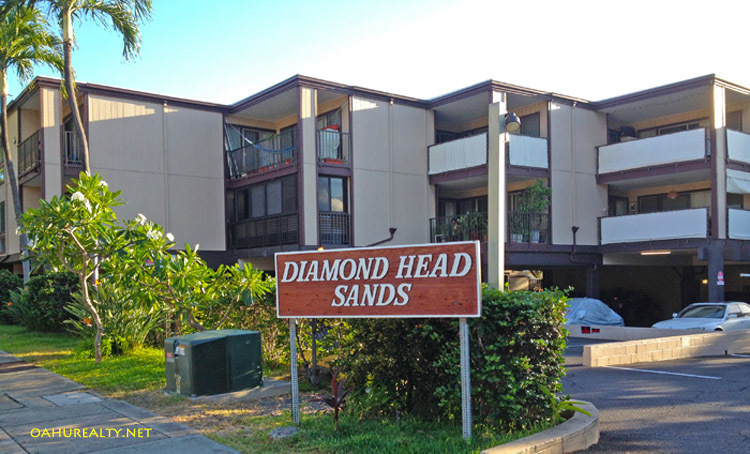 Diamond Head Sands is VA and FHA approved and this is a fee simple (not leasehold) building. Diamond Head Sands is located at Kanaina Avenue, off of Monsarrat Avenue at Diamond Head. Street addresses are 3721, 3731 and 3741 Kanaina Avenue, as there are three distinct buildings that make up the Diamond Head Sands condomimium. 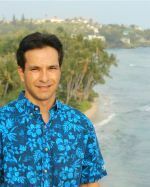 You can also reach the Association's office by phone: (808) 737-4330.